Are you getting fed up of seeing beautiful bags yet, cos I'm not! 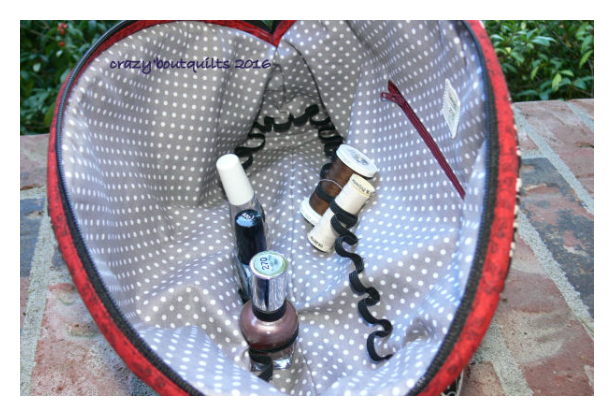 Before we start, you can find the Free Pampering Pouch Pattern on my site. First up is Leslie with this absolutely stunning woven look fabric! She changed her zip ends into end straps and will be back later in the month to show us how she did it! Amy added her signature touch of class to her pouch and added a monogram and a beautifully soft grey contrast on this pampering pouch! Next up is Reece with such a cool pouch! I love her brown faux leather contrast overlay, and that orange lining looks perfect! 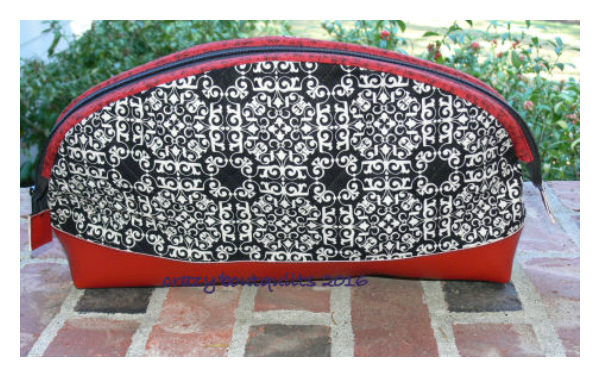 Sandie used a lovely tile print fabric and teamed it with red contrasts. It really makes a statement! 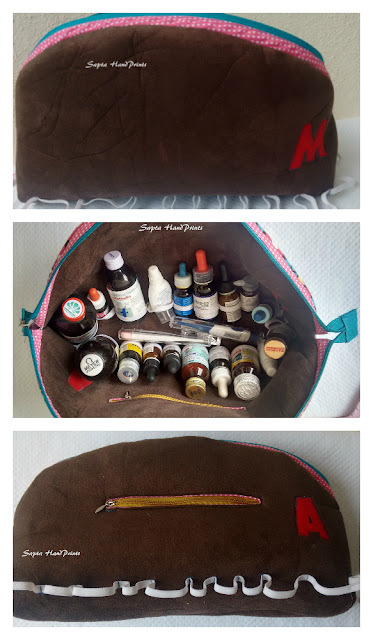 Sandie shows us how useful this pouch is for pampering, or sewing supplies! Sridevi had the genius idea to convert her pouch to be able to carry her daughters' medications! 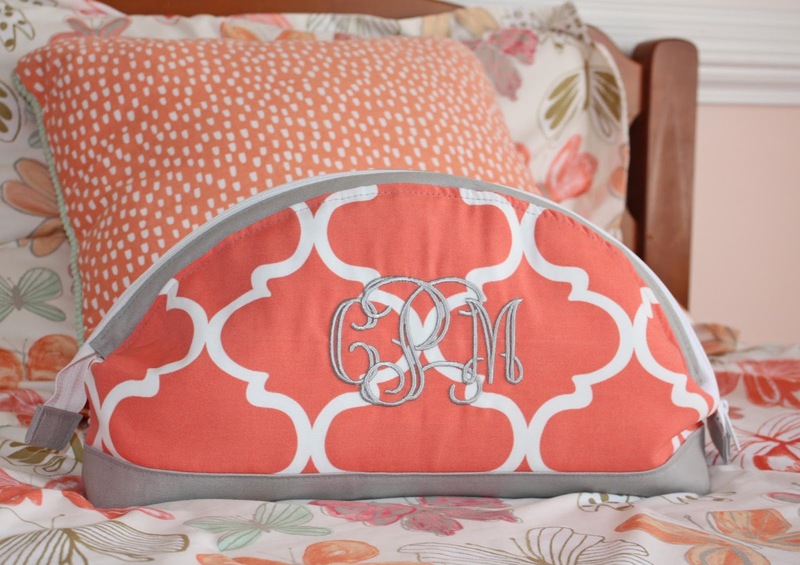 She embroidered their initials on one side each, so that she knows whose is whose! She altered her elastic holder sizes accordingly. Sridevi made a second pouch out of this fun minion print! It's so bright and fun! 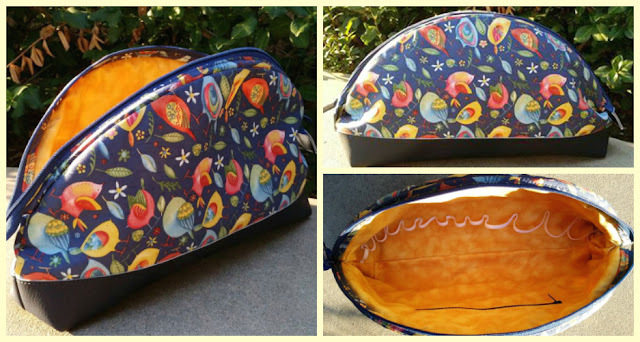 Next up on today's tester pics of the Free Pampering Pouch Pattern is Susan with her gorgeous birdies outer fabric and super fun bright lining! And finally is Susie, who shows us that you can still have a lovely pampering pouch, even without the 'C Frames' from Emmaline bags! I love that postage fabric! 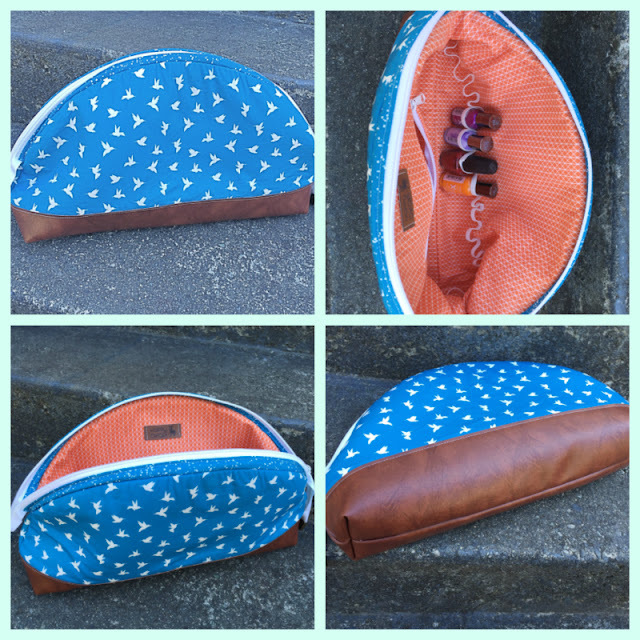 If you'd like to make your own, you can find the Free Pampering Pouch Pattern on my site.